They may hurt us but will NEVER break us! brings us together in time of tragedy! I don't know your name, or names - we may never know who you are - so I can't address you personally. Today, you killed several thousands of our friends...perhaps not people who we knew personally, but people like us. People who worked hard to make a living, who loved someone, who were loved by someone, who worried about making a better life for their children and grandchildren, who believed in God and the American Dream, who criticized this country for its insufficiencies and cared enough to try and change things and ensure a better future, not just for us, but for the world. People who leave behind scores of loved ones, friends, pets, neighbors, coworkers, and members of their faiths. Perhaps even people who derived from your own country and who sought refuge here. Your act was a slaughter of the innocents. You are like an insidious cancer that strikes without warning, ravages bodies, tears families apart, and in the end can never destroy the soul. You are the ultimate coward. You may topple our buildings, collapse our communication systems, disrupt our government, crash our markets, and leave behind the carnage of bodies, but you will never destroy the soul of America. We made this country from the bits and pieces of the rest of the world; we took the best, the worst of every culture and nationality, race and creed, and made an alloy that may be dented, but not even a trial by fire can melt. I don't know what god you believe in, or what hateful rhetoric you espouse, or what your misguided political beliefs might be that allows you to do what you did today without a fear of eternal damnation. I only know that you may win a battle or two, but you will never win this war. We have the entire history of the world on our side, and no dictator, despot, or madman has survived as long as America has thrived and prospered. If you accomplished anything at all today, it was to give America a wake-up call, and we will now rise up stronger than before. You are defeated before you've even begun, there in your private hell and later in your eternal one. Someday your people may even need our help, and because we are America, we would respond. 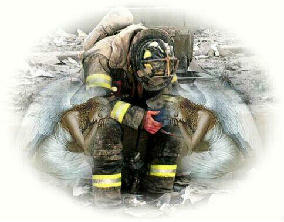 May God bless the friends we lost, their families, friends, neighbors and coworkers. We will help them rebuild from the ashes. May God continue to bless America, help her to protect us all, and may she continue to shine as a beacon of democracy and hope to the rest of the world. In deepest sympathy to those who have lost a loved one. America will pull through this and any other tragedy that befalls us. Americans will unite to defeat terrorism. Our country will come together and be stronger then ever. American blood spilled on American soil by faceless cowards. The masses of Americans fill the need. As we watched nineteen terrorist complete their hope to kill. For all the innocent people who so suddenly died. For now all the World must learn to fight for freedom rights together. When British troops to our shores came. And knew their freedom must not end. 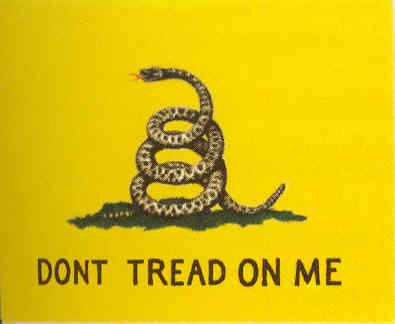 With flags that said "Don't Tread On Me." So many people have had to die. That has been shouted from every trench and hole. 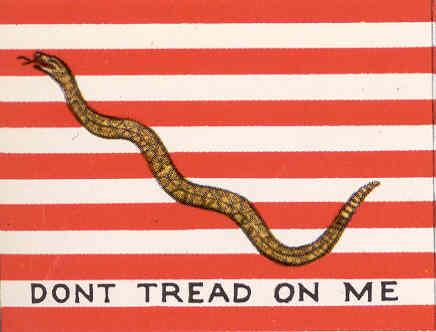 Those flags that say "Don't Tread On Me." From terrorist's acts in the dawn. Because they don't know how to love. That the World will stand together brave and true. For all the World knows what they'll miss. We will be free from this someday. 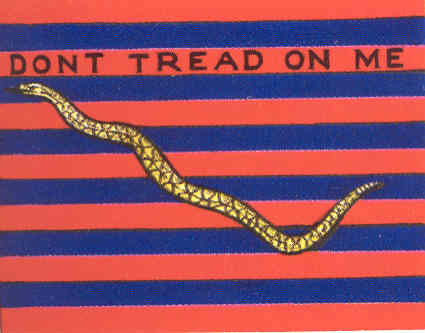 And fly those flags "Don't Tread On Me." And how their flags of freedom flew. Thanks to all the unknown people who have put such wonderful graphics online. If you have information regarding the credit for these graphics, please contact Webmaster. It is not my intention to violate copyright on any of these graphics. Ellis Co. WoodwardCo. Harper Co. Dewey Co.